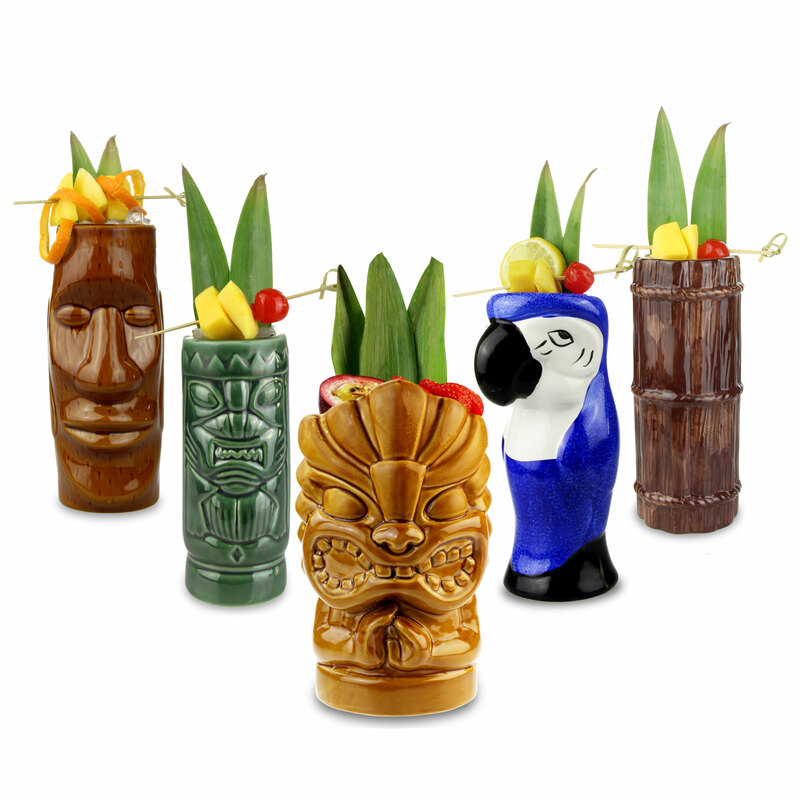 With 5 retro inspired tiki designs, this Ceramic Luau Tiki Party Pack is a party essential for serving fruity and tropical cocktails. 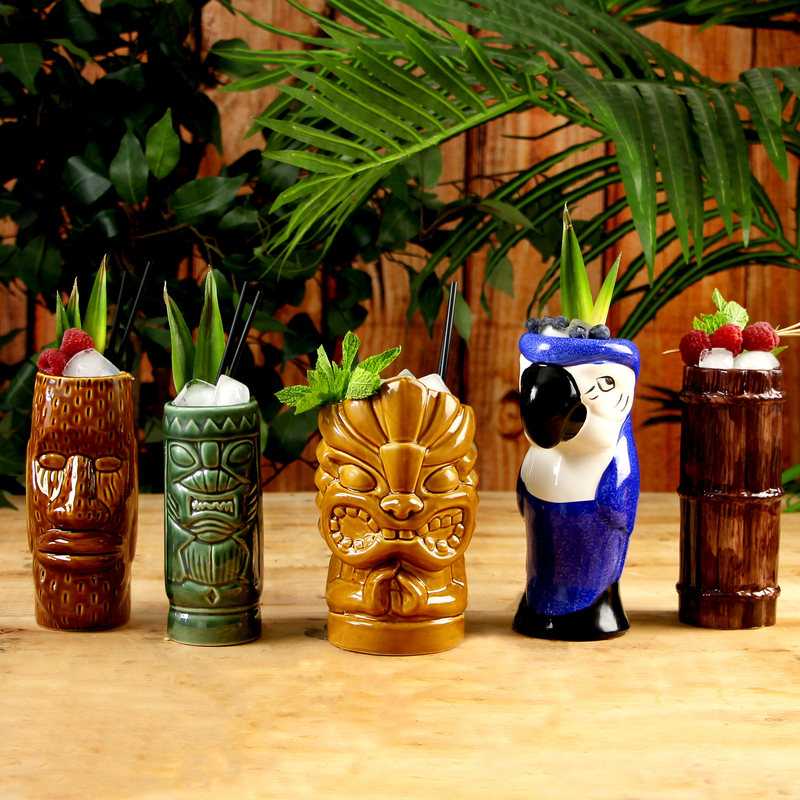 Using these hand crafted tiki mugs you will be able to serve up tiki classics like a mai tai or banana daiquiri with truly Hawaiian flare. "Prompt delivery, packaged up perfectly. Each of the 5 items were boxed individually so if wanted you could separate, then each box wrapped in bubble wrap. Glasses are amazing. It was bought as a birthday present, she has seen them and desperate to have a party to use them." 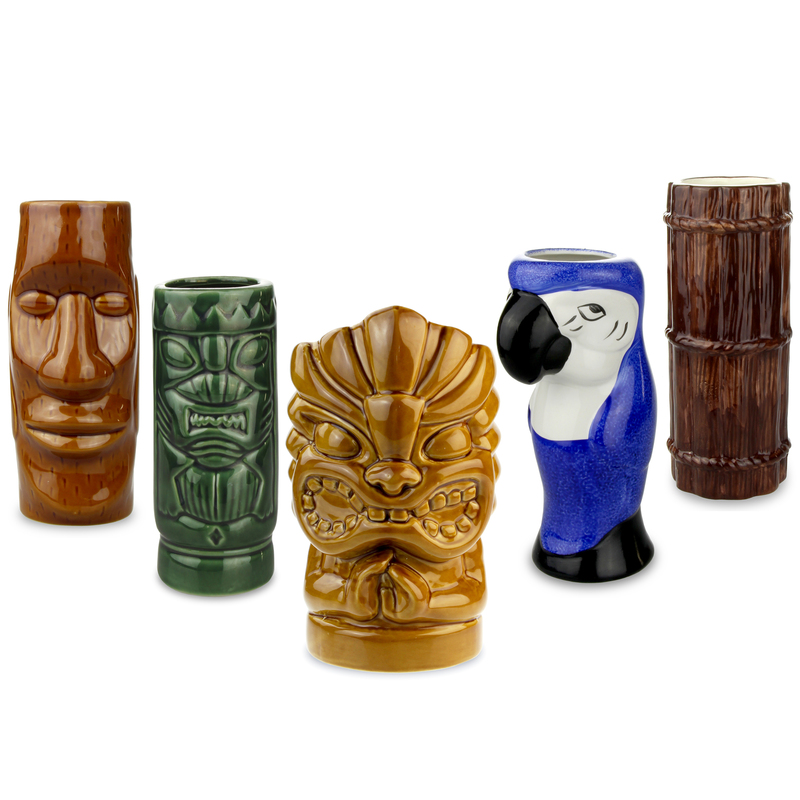 "Excellent product at a reasonable price. Fast dispatch and delivery." 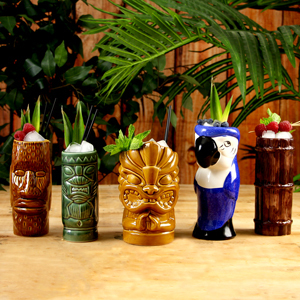 "These "glassy'' make drink so much more presentable, interesting and entertaining. God value and well individually packed." "Looks like great value! Eagerly awaiting the dispatch! Will make a great addition to my home bar. Oh and you know my friends are gonna love it! Thanks Drinkstuff"